I used to worry about not getting enough done or not accomplishing enough goals. This would then lead to a mix of procrastination, doubt and worry. I'm learning to trust where I am and not doubt myself so much. Doubt is the worse. It's something I'm trying to overcome it's definitely something I struggle with a lot. 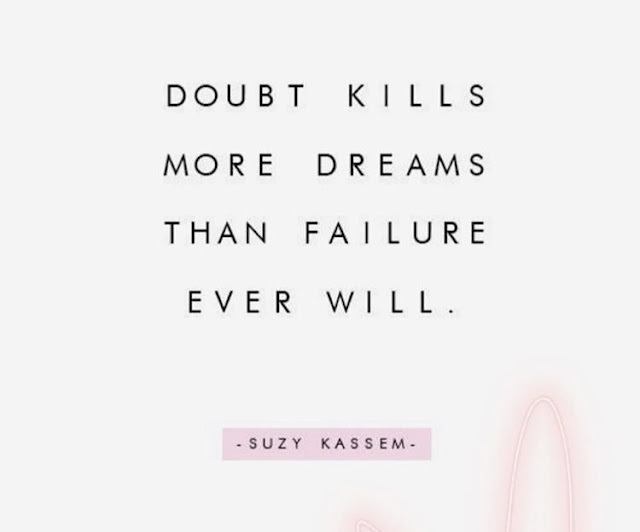 Doubt and fear. I'm happy I'm letting those things go. I'm starting to write down everything I want to accomplish for the day. Once you cross out everything on your list, it feels so good! Even if its little things, like making the bed, getting the laundry done or cleaning out old makeup you never use. I remembered this photo I had saved on my phone. It was a picture of a note my professor wrote at the end of this big final essay we had to do. After writing that essay, I felt so worried that I didn't do well or that my writing and what I was writing about would sound bad or dumb. When I saw what he wrote, I felt so happy.